Due to a Federal Court Order directing the U.S. Citizenship and Immigration Service (USCIS) to resume accepting renewal applications for Deferred Action for Childhood Arrivals (DACA), individuals currently holding DACA and people whose DACA expired on or after September 5, 2016 are encouraged to submit DACA renewal applications to USCIS immediately. It is widely known that on September 5, 2017, President Trump terminated the DACA Program. (See DHS Rescinds the DACA Program). Under the termination of DACA, individuals whose DACA expired prior to March 5, 2018 were required to file for DACA renewal by October 5, 2017. People with DACA who expired after March 5, 2018 were not eligible to file for renewal of DACA. 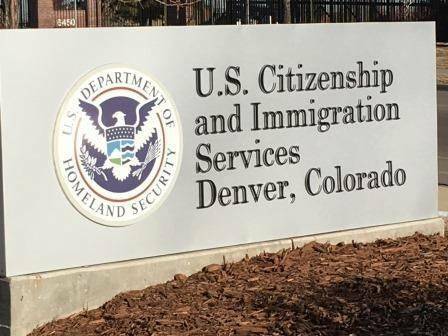 On October 5, 2017, USCIS ceased accepting DACA renewal applications. On January 13, 2018, USCIS officially began accepting DACA renewal applications again. USCIS is currently accepting, processing and adjudicating DACA renewal applications. Critically, under Judge Alsup’s order and USCIS’ implementation of that order, any person who currently holds DACA or who previously held DACA and whose DACA expired on or after September 5, 2016 are eligible to apply for DACA renewal. This includes individuals whose DACA expires after March 5, 2018. Critically, individuals who are otherwise eligible can file for DACA renewal at any time. There is no rule that a DACA renewal can only be filed 180 or 150 days in advance of DACA expiration. This means that individuals whose current DACA expires in 1ate 2018 or even 2019 are eligible to apply for DACA renewal and have their DACA period extended. Individuals who have never held DACA are not eligible to apply. Importantly, it is not clear how long Judge Alsup’s order will remain in effect. It is possible that this period of time to file DACA renewal will end within the next weeks or months. Therefore, eligibile individuals are encouraged to file for DACA renewal as soon as possible. Individuals considering applying for DACA renewal are encouraged to consult with experienced immigration counsel to confirm their continued eligibilty for DACA. For more information on DACA, the availability of DACA renewals or other information regarding immigration issues, please contact Kolko & Associates, P.C.